Just “aboot” nearly 400 miles (617km) north of the town of Albany Oregon lies one of North America’s largest and most beautifully defined cities – Vancouver, Canada. And although a streamlined trip by car took me 7 hours to reach my destination, I was destined to spend even more time in the realm of discovery; exploring, photographing, and soaking in this vivid splendor of British Columbia. 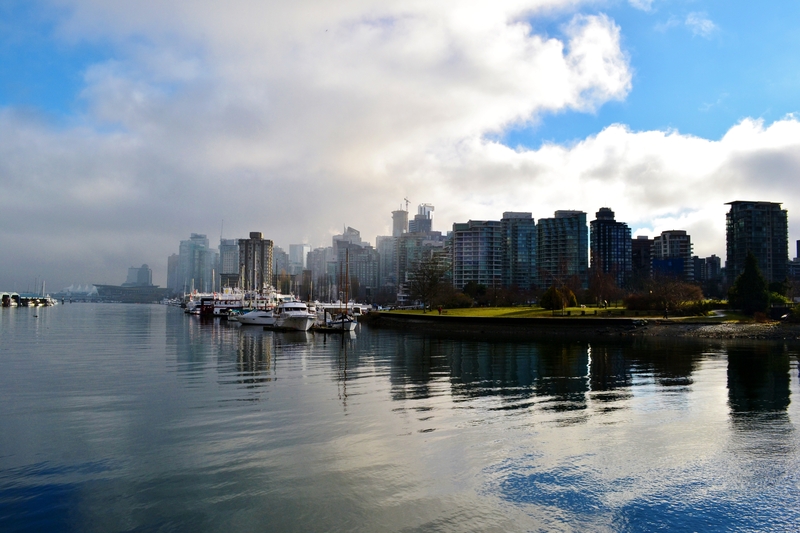 During a slight break in clouds this panoramic view of downtown Vancouver reveals a majestic skyline as seen from Stanley Park. 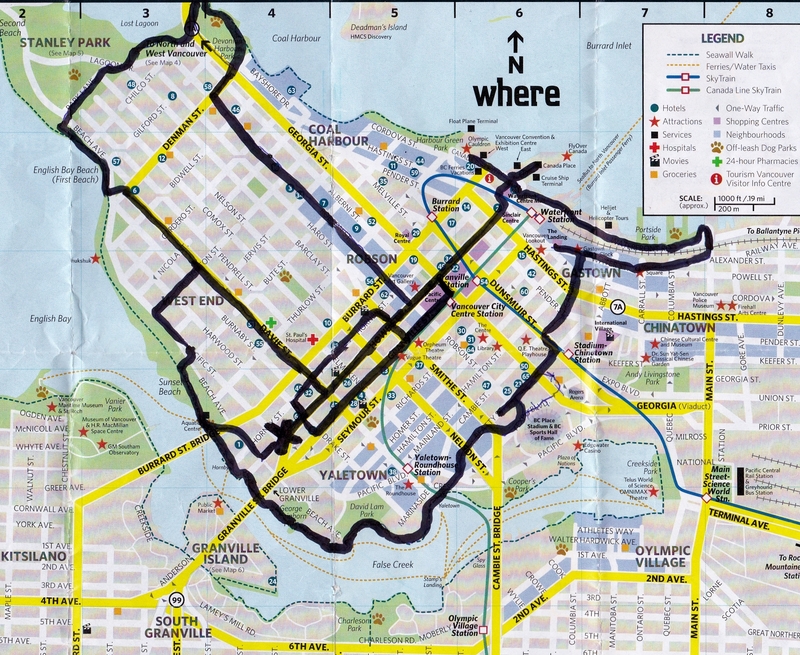 Black Felt marks my foot travels in the two days spent exploring downtown Vancouver. View of Devonian Harbour Park on the Northwest corner of downtown. 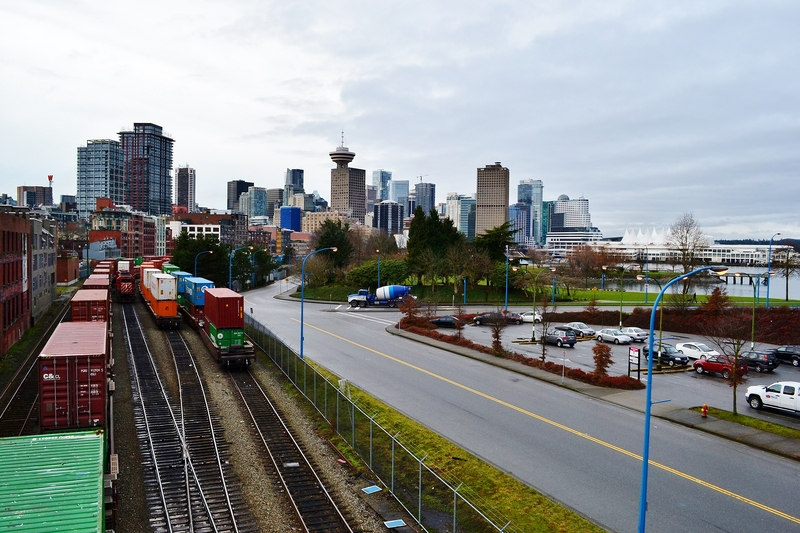 Canada Place is just barely visible in the distant left hand side. In all hours of the day and night you will see both foot and car traffic in a city that never sleeps. 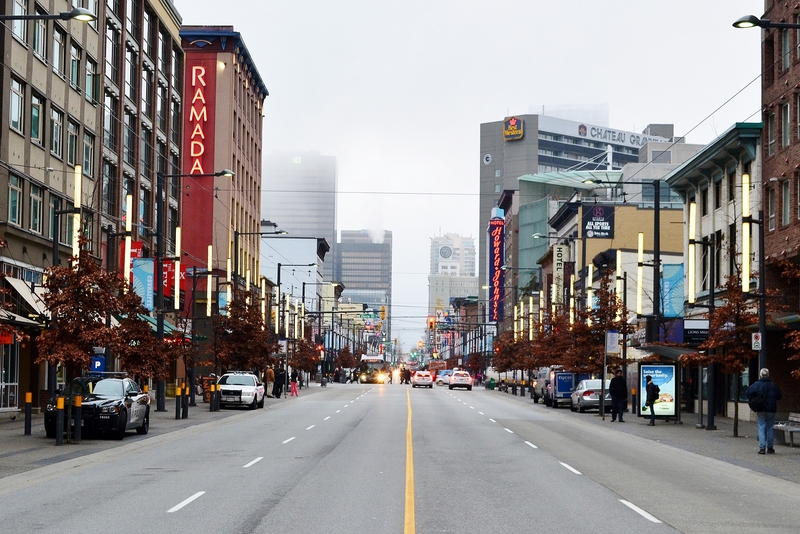 Looking down Granville St. (Hwy 99) where you are bound to find great food, entertainment and meet unforgettable friends. For all three of these look no further than the Two Parrots Perch and Grill. In regards of service (quality, size and atmosphere) it’s an experience beckoning another! 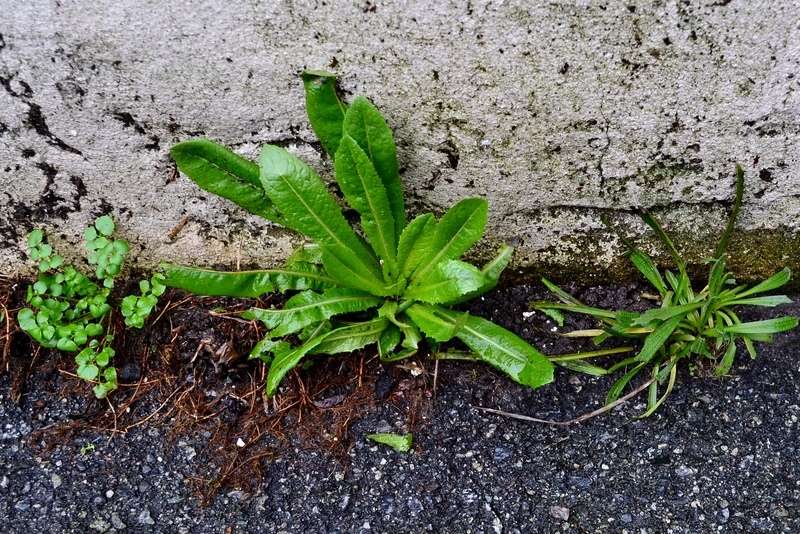 It may seem strange, but with all the curiosities that one may encounter while traveling abroad, there was only one that kept my eyes fixed on the ground… weeds! Even in wintertime on the streets of such a massive metropolis, I could easily spot this nature’s produce. Hard to miss is the Broad-Leaved Dock (Rumex obtusifolius). Its fresh tender leaves and stems can be eaten raw as a tart green, or cook as a vegetable. Creeping along to the right is a variety of blackberry while a member of the Mustard is seen on the left. Chickweed (Stellaria media) is a juicy and tender green similar to Lettuce, perfect as a base for salads or an addition to your favorite sandwich. Harvest the top 2 in’s for choice selection. 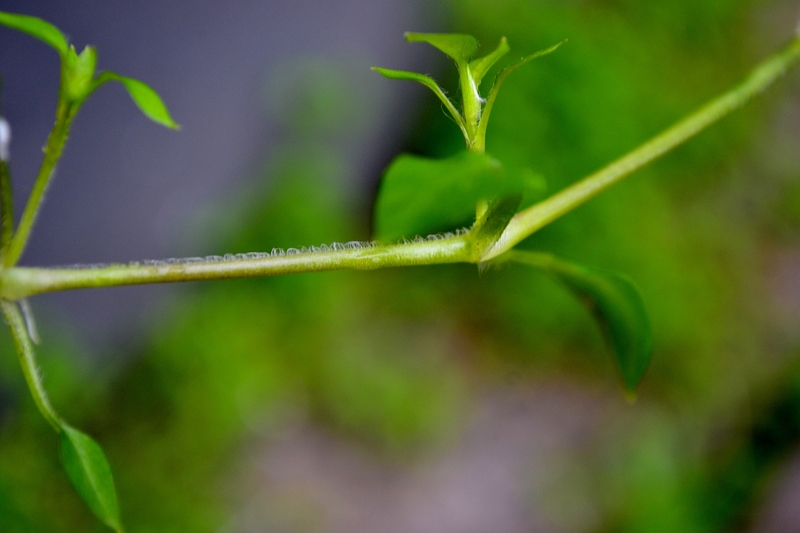 A look closer reveals Chickweeds single line of hairs running down the stem, whereas its lookalikes may have hairs all over or no hairs at all. 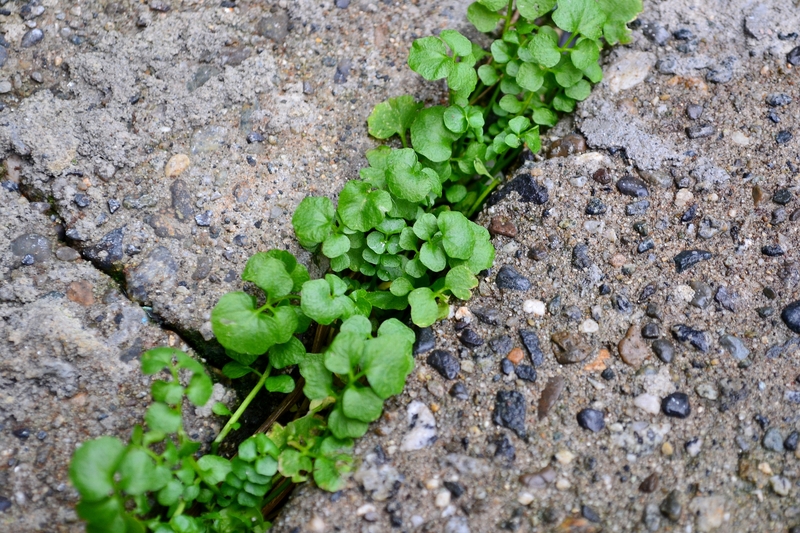 Self-sowed between two sidewalks is a row of Bittercress. 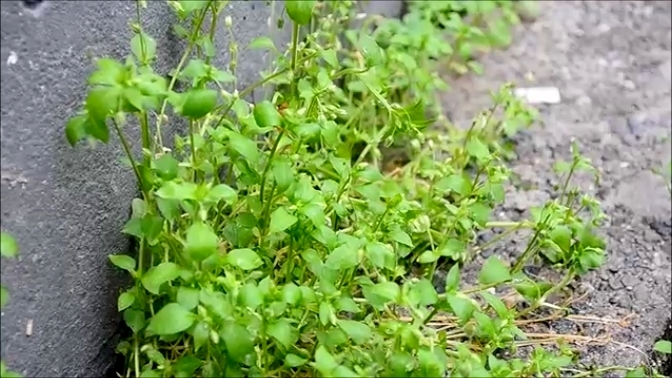 A member of the Mustard family, Bittercress is rich with flavor and can be added to foods as a tasty spice. 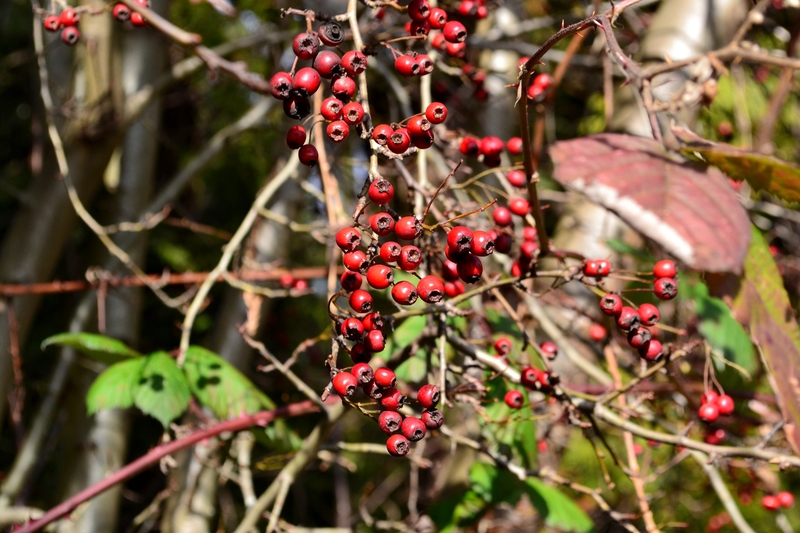 Amongst the Blackberry vine is last years Hawthorne berries. Snack on these and get a dose of Vitamin’s C and B complex. Just be sure to spit out the seed! 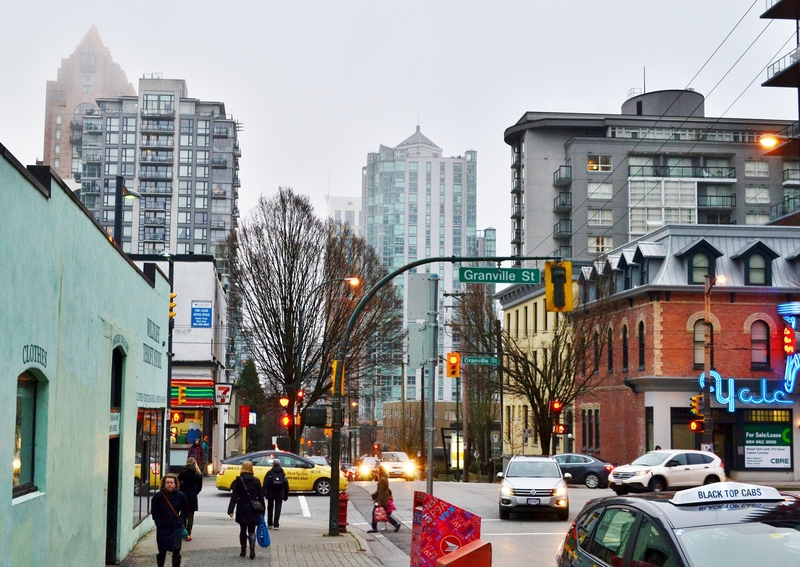 Whether you’re a wild edible food enthusiast like myself or simply an adventurous person seeking a new “playground”, Vancouver BC is well equipped to appease your appetite. So next time you find your eyes hooked on the sights of a new city, be sure to also take a look down by your feet, there just may be an exotic dish perched in that not-so-exotic location. Special thanks to JD Bump for providing myself a level of accountability and helping me realize my goals. Thank you! Too bad the sun did not shine on your day of shutter snapping, Hank. 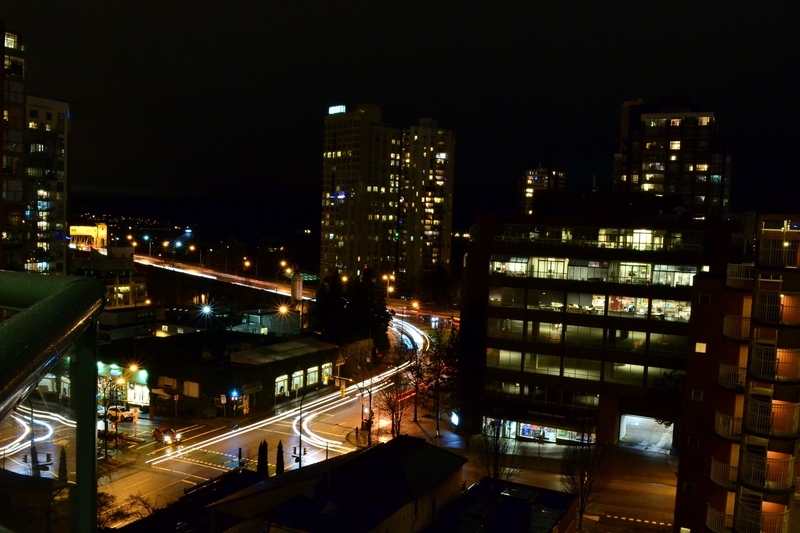 Vancouver is my home. I love it so much. 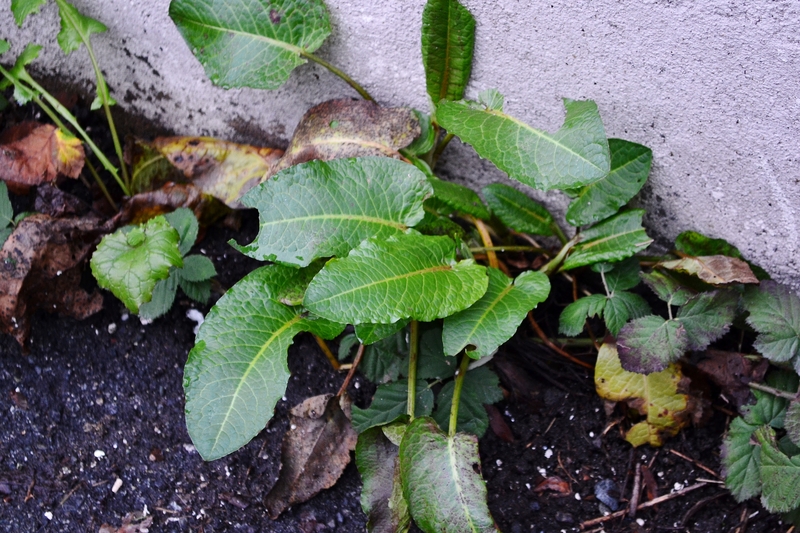 Thanks for the glimpse of edible weeds. I never knew I had such treasure in my own garden. Yea some sunshine would have definitely made the city a little more photogenic, but still a beautiful place nonetheless. I’ll have to go back this summer. Glad I could share a glimpse for you. It’s inspiring for me to see this unnoticed food all over the place.